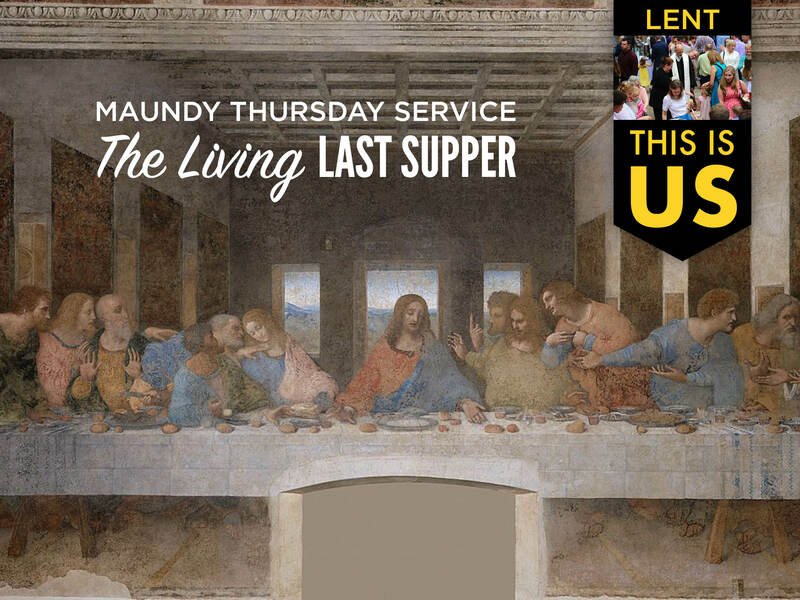 On Maundy Thursday, come and experience “The Living Last Supper” in the Sanctuary. Costumed actors will portray Jesus and the twelve disciples’ last meal together around the table before his capture and crucifixion. The setting will be similar to the Leonardo da Vinci painting, which captures the instant just after Jesus reveals that one of his friends will betray him, complete with reactions of shock and rage from the disciples — Simon Peter, James the son Zebedee, John the brother James, Andrew, Philip, Bartholomew, Matthew, Thomas, James the son of Alphaeus, Thaddaeus, Simon the Cananaean, and Judas Iscariot. Holy Communion will be central to this worship service, and the congregation will be invited to partake in this sacrament as we commune with Christ and one another.